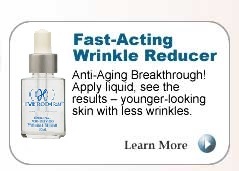 HYDRODERM™ | Discover the answer to younger looking skin. 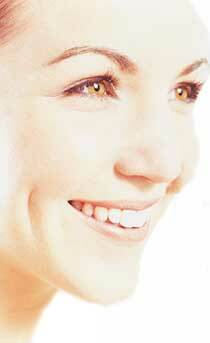 People of all ages have had success with Hydroderm. 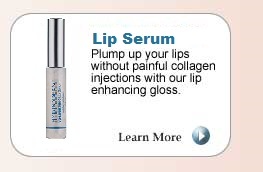 Please contact your personal physician if you have concerns about using Hydroderm. All skin types and nationalities have had success with Hydroderm. What is Vyo-serum and how does it work? The Vyo-serum in Hydroderm is made from a natural combination of selected proteins, which produce an instant tightening effect and increases the skin's moisture level. 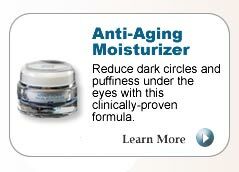 Vyo-serum could be said to be an instant lifting serum and anti-aging active ingredient. Vyo-serum is greatly enriched in tridimentional proteins, which retract on the skin's surface producing an instant tightening effect. The tensing action of Vyo-serum on the skins surface favors hydration of the skin by entrapping water molecules. The tensing action of Vyo-serum helps the disappearance of fine lines and wrinkles, and thus Vyo-serum possesses a skin smoothening potential. The ingredients in Vyo-serum are made of cell signaling factors capable of stimulating important biological functions in skin cells. The key ingredient, Marine Collagen neutralizes free radicals while refining the texture and tone of skin. 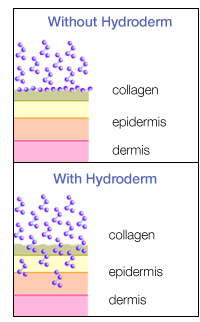 Hydroderm includes the following ingredients: Collagen (marine), Distilled water/lgepal, Alcohol, Sodium Methylparaben, Phenoxyethannol, Ethyl Paraben, Propylparaben, Butylparaben, Isobutylparaben, Methylparaben, Serum Protein, Amniotic Fluid, Placental Protein, Calfskin Extract, Hydrolyzed Collagen, Imidezolidinyl Urea, PEG-16, Trisodium EDTA, Potassium Sorbate, Citric Acid and Ascorbic Acid. None of our Hydroderm products contain any steroids. 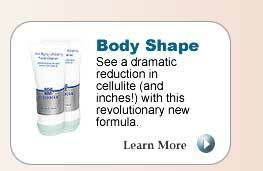 Please ask your physician about using Hydroderm with any other supplement or medication. Also check with your doctor if you are nursing, pregnant, or have been diagnosed with any allergies or medical conditions, such as high blood pressure, heart conditions, diabetes, etc. Does Hydroderm have any side effects? Hydroderm does not have any side effects other than giving you fresher, more youthful looking skin, but if you are concerned or need more information, we recommend you talk with your physician. Individual results may vary. These statements have not been evaluated by the Food and Drug Administration. These products are not intended to diagnose, treat, cure, or prevent any disease. Product containers and packaging may change from time to time from those depicted on the site here. Copyright © 2005 - HYDRODERM Official Hydroderm Distributor. All Rights Reserved.